If you're the account owner, you can update your billing information at any time. Click the Billing Information button on the navigation bar. 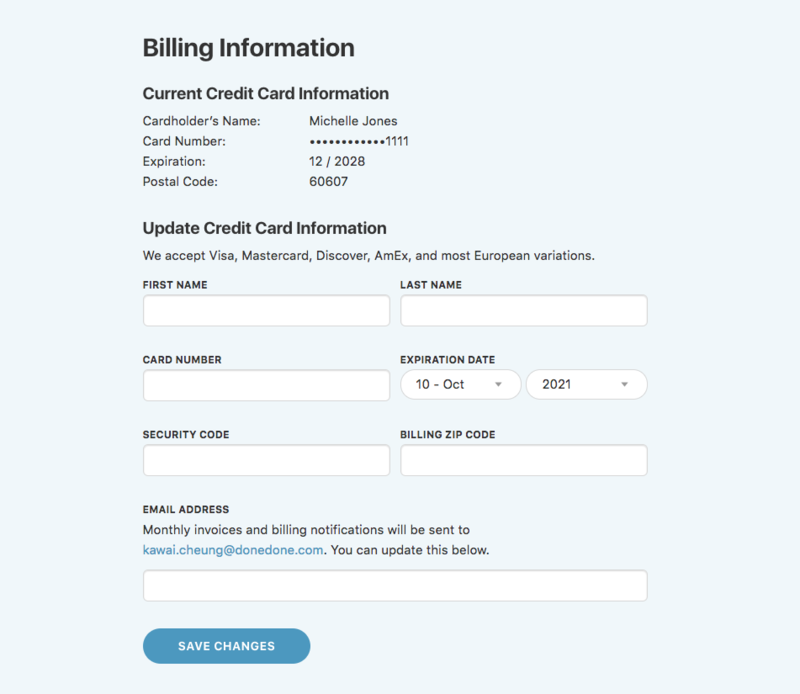 Fill in your new billing information below and click Save Changes. You can also update the email address where your monthly invoices are sent, if it's different from your profile email address.